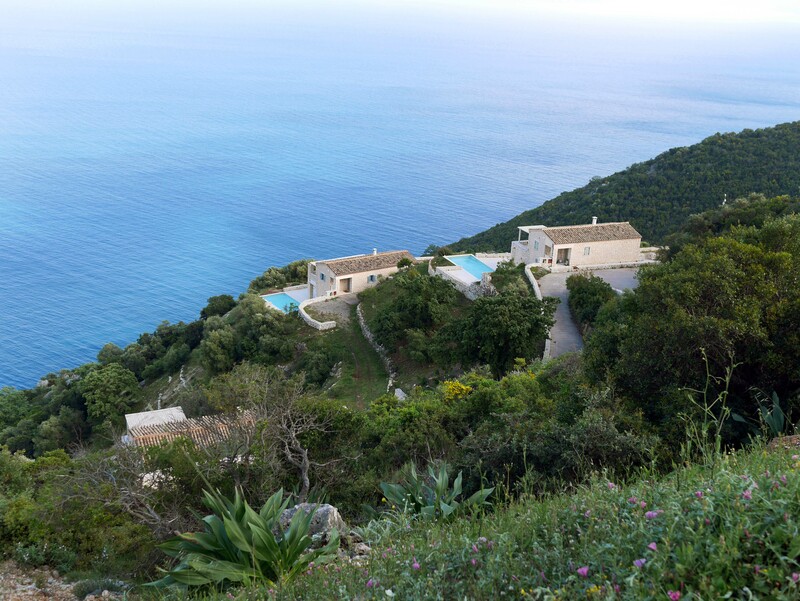 I have just come back from our new Divine Retreats destination on the beautiful island of Lefkada in Greece. It was like being in heaven! It’s at Urania Luxury Villas, but I call it Urania Yoga Heaven! Urania means ‘sky’ in Greek, and Urania was also one of the 7 muses, the goddesses of the inspiration of literature, science and the arts. 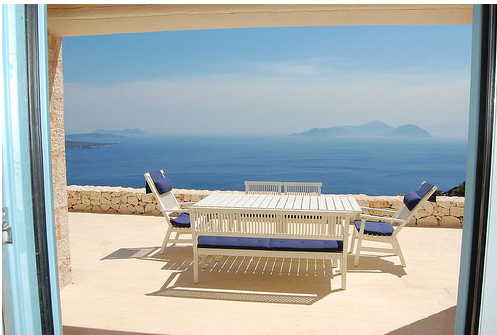 Located high over the sea, with nothing but the ocean and lush green around, and only the sound of the birds … the villas are near an ancient Apollo temple site, so the energy is one of deep healing and tranquillity – absolute bliss! Work on the new yoga platform has started today, so it will be ready for our September retreat. We will be back there from 7th to 14th September with Abby Hoffmann Yoga, for a heavenly Vinyasa Flow and Yin Yoga retreat. 2 hours dynamic yoga in the morning and 2 hours gentle Yin and meditation in the evening, with the rest of the day to relax by the pool, explore the nearby sacred sites and magnificent beaches, swim, dream, sing … truly rejuvenate mind, body and soul. For more info about the retreat please go to our website – which is brand new by the way, launched today! Our competition winner is happy!